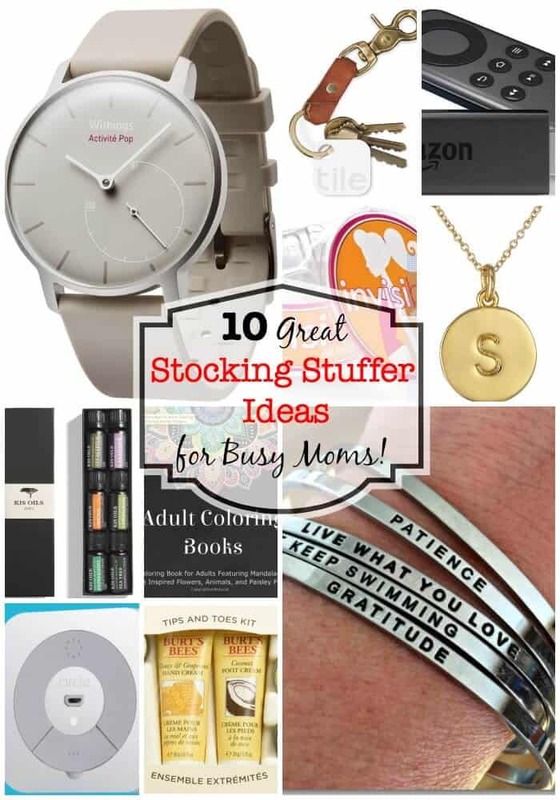 10 Great Stocking Stuffer Ideas for Busy Moms! 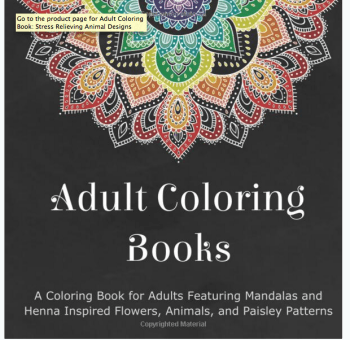 *Please note that the links in this post are affiliate links, which means I will make a small commission if you purchase through these links. Busy Moms know that if you put your keys in the same place every time you walk in the door, they will be right where you know to look for them the next time you need them. But then life gets in the way…. and the keys don't always end up where they should. 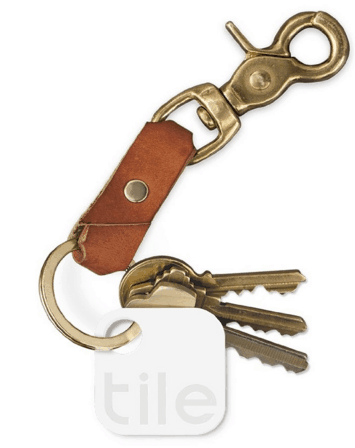 Which is why busy Moms would love to put a Tile item finder on her keyring to help her find the darn things again! 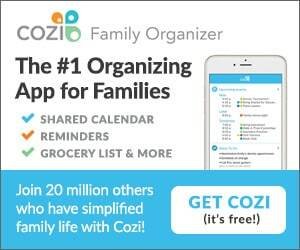 Busy Moms might also want to add a Tile to her cell phone, her coffee thermos, her handbag…. Busy Moms need a personal mantra. “Breathe” is a good one. So is “Peace”. “Eat Chocolate” is another. You get the idea. 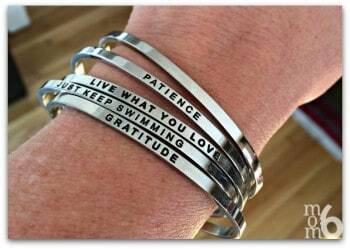 But when things get crazy- it is awesome for Mom to look down on her lovely wrist and be reminded of her mantra. 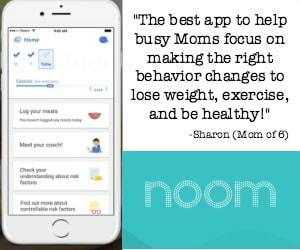 Busy Moms do NOT have the time (or the patience) to be tugging at the waistline of her pants all day long. That annoying gap in the back of her pants drives her crazy. Yes, she needs better fitting pants. But busy Moms don't have time for total wardrobe replacements. 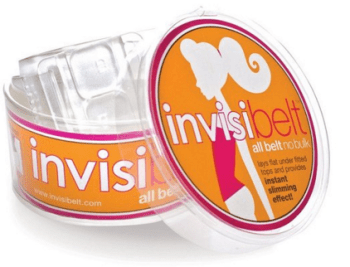 That's why she needs an Invisibelt. Busy Moms KNOW that she should be working out more. Or at least getting in 10,000 steps a day. Sure, wearing a fitness tracker can help her to reach that goal… but what she really wants to wear is a pretty watch. And she doesn't have time to worry about charging a fitness tracker every few days! 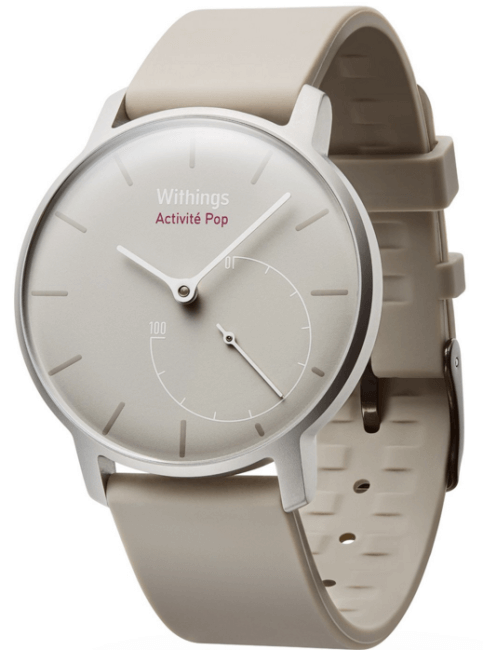 Luckily- this Withing Activite Pop Watch is a gorgeous watch and step tracker all in one! And it runs on a watch battery- so no re-charging necessary (other than replacing the watch battery for a few bucks every 9 months or so!) I've had mine since the summer- and I love it! They also sell a wristband accessory pack so you can change out your wristband to match your outfit! And if you really want to splurge, there is a gorgeous leather band version with a sapphire glass face that will really make Mom happy! 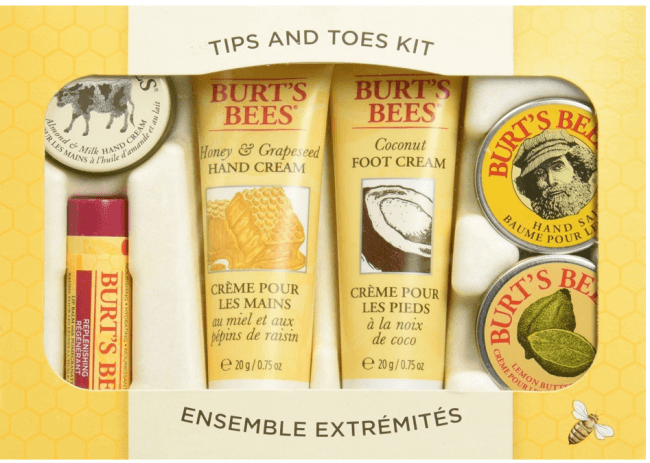 Every busy Mom wants to feel pampered- and these decadent hand and foot creams and balms will do just that! Bonus points will be given to husbands who offer to massage the cream into her hands and feet for her! 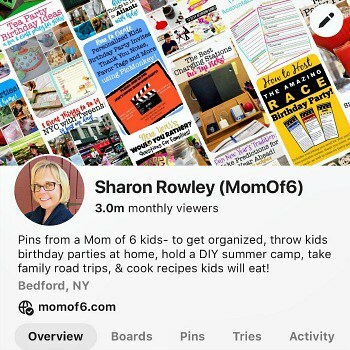 Busy Moms don't take much downtime- but when they do- they want to be able to instantly stream their favorite show! This little device plugs into the HDMI port on your TV and allows you to instantly stream from Amazon Prime, Netflix, and more (no more buffering! ), and the cool thing is its portability. She can easily take it with her when she travels- and continue to binge-watch her favorite series! Busy Moms (heck, all women!) love jewelry. 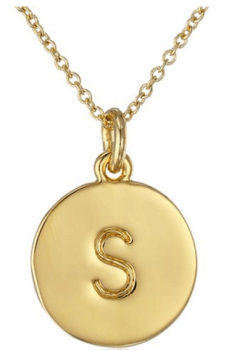 And you can't go wrong with this gorgeous gold-tone (brass) necklace personalized with her initial. She'll feel beautiful. And I love that it says “One in a Million” on the back! Busy Moms need to find a way to relax! So here's what you do…. you corral the kids and take them out to dinner. But first, you draw her a hot bath and add a few drops of aromatherapy oil to the water. She'll feel relaxed and indulged! Busy Moms miss making the time to be creative, and they wistfully tape their children's drawings to the fridge door while fondly remembering the days when coloring was fun. Help her to relive those days…. #10 The Ability to Control the Internet! With Circle! Busy Moms want to be able to keep on top of their kids' internet access and usage. And don't want to walk into their kids' bedrooms and 10 pm and realize that they've been playing on their iPads under the covers even though they were tucked in hours ago! (Not that this has happened to anyone I know or anything….!) 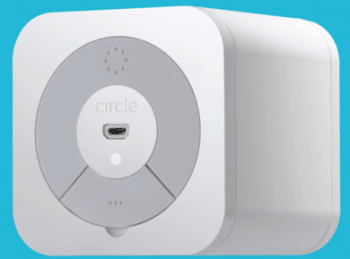 Circle is a (magical!) new device that connects to your Internet router and allows you to set parental controls on each member of the family. You can set time limits on specific apps- (perhaps 30 minutes a day on Instagram, 30 minutes a day on YouTube), and you can also set a time limit on internet access in total (no more than 1 hour a day). And even better- you can set a bedtime for internet access too (like no access after 10 pm). You can even “Pause” the internet for the entire family! Looking for Some More Holiday Ideas? 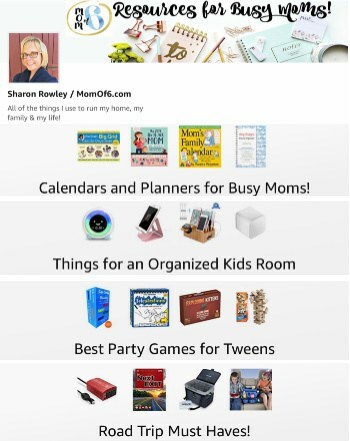 10 Great Stocking Stuffers for Busy Moms! What stocking stuffer ideas do you have for busy Moms? Please leave a comment and share them with us! 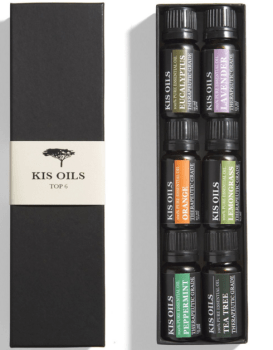 Filed Under: *Christmas Ideas, Stuff I Love! « Our Family’s Favorite Christmas Cookie Recipes!